All roofs should be inspected at least twice a year - in the early fall to ensure that they are in good condition to go into the winter and in the spring to deal with anything which has happened during the winter. In addition, an inspection should be done after every major storm to repair any damage which may have occurred. 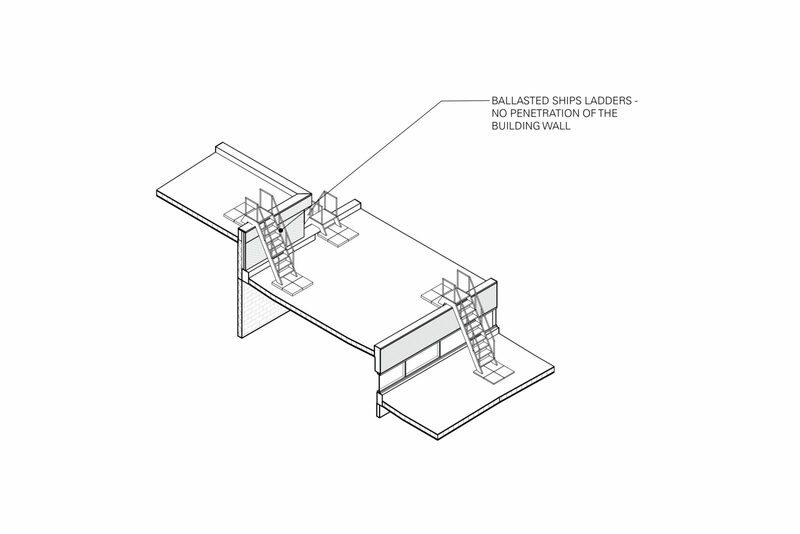 FBM can design access ladders or stairs to accommodate any existing situation from vertical ladders which bolt to existing walls - see Image 3 - to free standing stairs where the wall cladding does not provide easy attachment for a vertical ladder - see Image 4.